This Grand Auditorium stage guitar has it all! 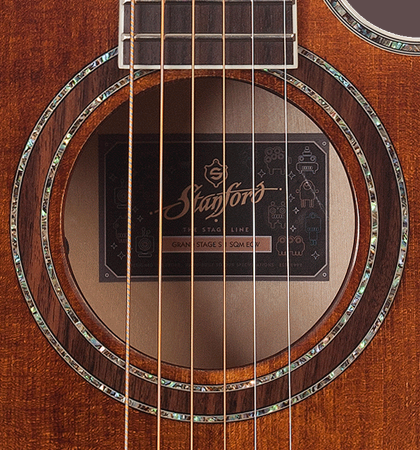 This beauty has a solid Sitka spruce top, which provides a brilliant and dynamic sound. 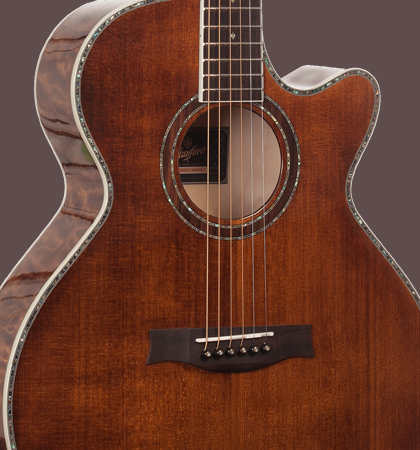 The veneered with flamed maple back and sides give the instrument an additional bright and airy sound character. The back and sides are veneered with flamed maple and give the instrument an additional bright sound character. A mahogany neck with a satin finish gives you a pleasant feel and looks in combination with the high gloss finish of the body very classy. 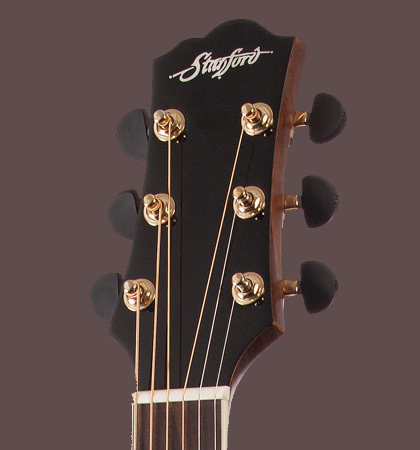 The fingerboard and bridge are made of rosewood. To ensure the optimum sound transmission of vibrating strings, the nut and saddle are made of bone. 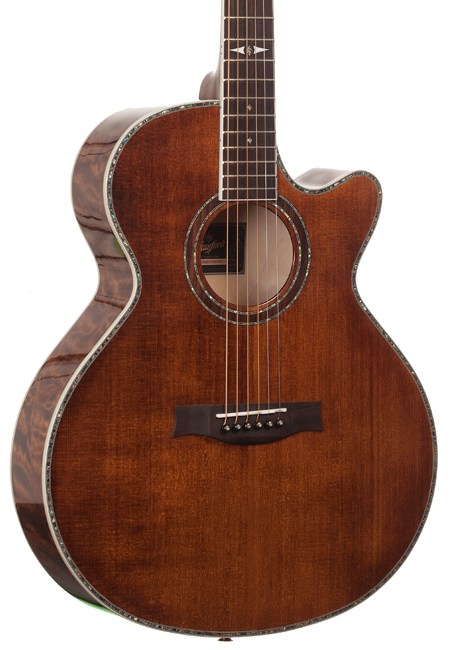 The extra deep drawn Venetian cutaway makes it possible to play this acoustic guitar easily up to the highest frets. The active pickup system “Posydon” from NAUTILUS transmits every detail of the Stanford GrandStage even for large volumes and of course without any distortion.